The government on Friday said it will compile measures aimed at preventing child abuse following the recent death of a 5-year-old girl, who had written “forgive me” in a notebook to beg her parents to stop mistreating her. 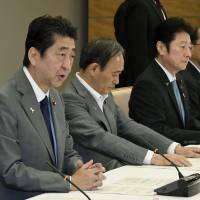 Prime Minister Shinzo Abe called for “sweeping measures” during a meeting with Cabinet ministers, saying the government cannot allow such an incident to happen again. Abe instructed Health, Labor and Welfare Minister Katsunobu Kato and other ministers to urgently come up with new ideas to protect children. After the gathering, Kato said his ministry will set up a panel of experts on child abuse to investigate the girl’s case and release the results by the fall. 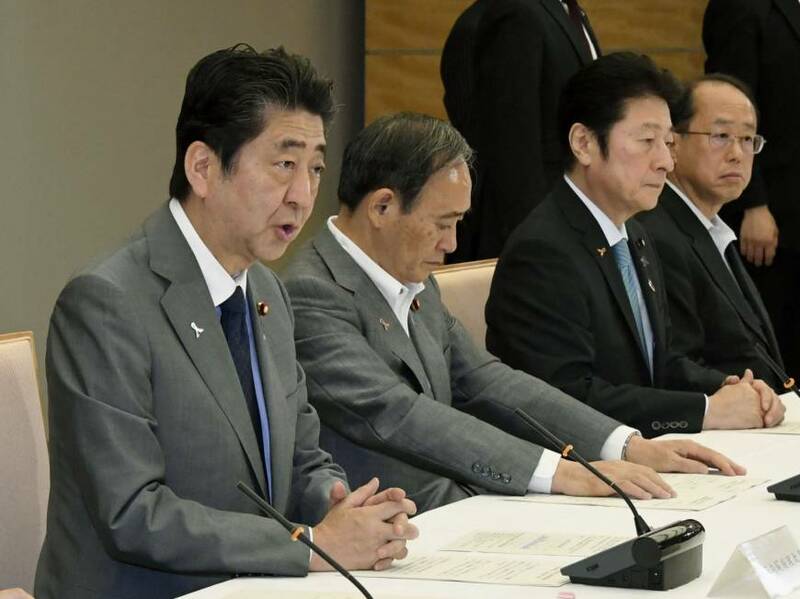 Chief Cabinet Secretary Yoshihide Suga told a news conference that the government will strengthen efforts to assess the situations faced by preschool children across the nation and share information on suspected abuse cases between governmental bodies, including child welfare centers and police. Insufficient information-sharing among public entities is seen as one of the factors behind the high-profile abuse case involving Yua Funato, who died in Tokyo in March. Her family moved to Meguro Ward in the capital from Kagawa Prefecture in January. Information about suspected abuse while the family was in Kagawa was passed on to a Tokyo child welfare center. A Tokyo child welfare official visited the family’s home in February but was turned away by Yua’s mother. Yua’s mother, Yuri, 25, and her stepfather, Yudai Funato, 33, are believed to have physically abused the girl from late January and failed to provide her with sufficient nourishment, resulting in her death on March 2 from sepsis caused by pneumonia. According to investigators, Yua was given only a cup of soup for breakfast and a small amount of rice for lunch and dinner, as her parents demanded she stay slim “like a model.” She weighed only 12 kilograms when she died, compared with the average weight for her age of 20 kg.